Can Linking to Your Other Website Properties Hurt Your SEO? There’s an interesting conundrum some of us entrepreneurs face when we’re developing various businesses. That conundrum is the question; how much can we cross-link different websites we’re building? Let’s say you have three different small businesses you’re building. Each of them is distinct in form and function, but they’re all relatively similar in overall design. 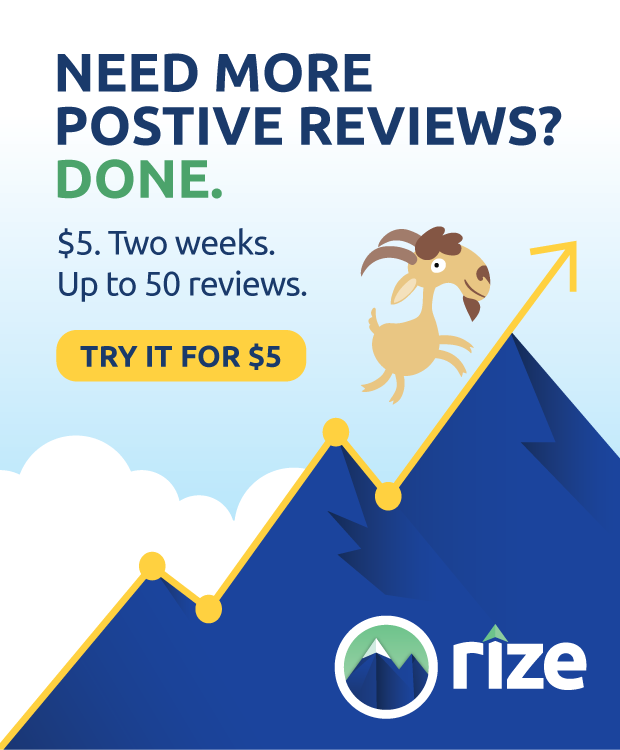 Perhaps one of them sells an SEO auditing tool, one of them sells a blogging service, and one of them provides assistance with PPC and other web advertising. All three of them are unique, distinct services, but you own them all and they all have similar design, because that’s your preferred aesthetic. How much can you cross-link these websites? It’s tempting to do; each one can provide some link juice and traffic value to the others, mutually bringing up all three of them. On the other hand, there are certainly some risks involved. The primary risk of linking multiple sites you own together is that they could form something like a link wheel, a link pyramid, or another similar scheme. A link wheel is simple to understand; if you have three websites, website 1 links to website 2, website 2 links to website 3, and website 3 links to website 1. The value is passed in a circle, filtered from one to the next. Think of it kind of like a particle accelerator. A particle accelerator works by putting charged particles in a ring of electromagnets that pulse in time to push and accelerate that particle faster and faster in the circle, until such time as it reaches a speed sufficient to perform experiments. Each magnet – each site in our metaphor – adds a bit of a push that makes the particle go faster. The metaphor isn’t quite accurate, since the speed of the particle is equivalent to the value of each site, but you know what I mean. 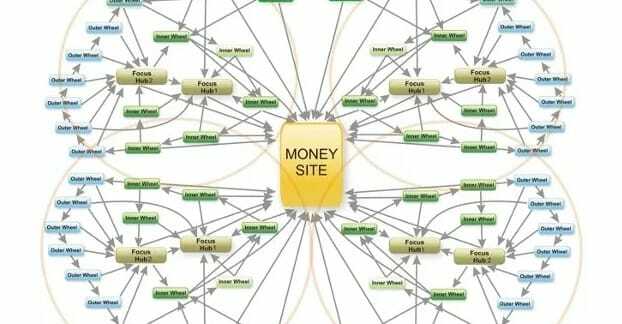 Link pyramids are similar; you start with a bunch of small sites that link to slightly better sites, which link to another tier of better sites, which link to your main money site. It’s less likely that you’re accidentally stumbling onto this setup, though. In either case, the issue is that such strategies have been used in the past to game the search engines. 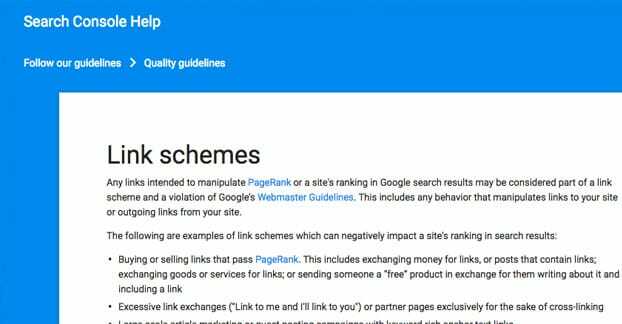 Reciprocal links, link rings, and other such formats are known collectively as Link Schemes, and are something Google will directly penalize. This is what gives a lot of entrepreneurs pause. If you make three businesses and you link them together, you run the risk of Google deciding to penalize all of them, tanking your entire business setup. On the other hand, if Google doesn’t penalize them, you’re missing out on a lot of potential value that could be stacked up in aggregate. At the same time, there are major websites that do this and get away with it. What do I mean? Check out a few websites for me for a moment. Go to ThemeForest, VideoHive, CodeCanyon, and AudioJungle. All of these sites look virtually identical, right? They have different sets of content, they have different branding, but they’re all based on the same templates. If you’re not aware, these are all parts of the Envato Marketplace. Rather than set up one massive, unwieldy, hard to organize marketplace for any kind of asset, Envato set up separate sites with different focuses. ThemeForest handles themes and templates for web design. CodeCanyon does code for plugins and widgets. AudioJungle does sounds and music. PhotoDune handles royalty free images, while 3DOcean does 3D models, textures, meshes, and other assets. Envato’s benefit here is that they can cover a wide variety of different industries, without sacrificing the narrow branding necessary to dominate those industries. When you’re looking for a WordPress theme, you’re likely to find a couple of different sites; the WordPress theme database, Envato, and a few others. If Envato didn’t brand their theme network as narrowly as they did, it might be harder to find it for such queries. Every one of the Envato network sites links to each other and links back to the main Envato pages. That seems like a very stereotypical link pyramid, with each site adding value to each other and to the main site. Another example would be the Gawker network of sites. Gawker Media at one point included a bunch of other powerful niche news sites, like Gizmodo focusing on tech, Jalopnik focusing on cars, Jezebel focusing on feminist news, Kotaku focusing on gaming, and Lifehacker to capitalize on the lifehacks trend. Gawker, of course, has had a bunch of issues in the last few years. Between being sued, declaring bankruptcy, and being sold to Univision, they have lost a lot of value, had several sites close down, and generally crashed. Today the remaining sites have been rebranded part of the Gizmodo Media Group, some sites have been killed off, and others have been brought in. The demise of the Gawker network, though, had nothing to do with the cross-linking between the sites and any possible Google penalties. What’s going on here? The question we’re naturally led to ask is this: is Google being a biased hypocrite, or is there nothing wrong with cross-linking domains? On the one hand, there may be nothing wrong at all, and the people being penalized for it are being penalized for a number of other problems as well. On the other hand, Google could be biased by allowing large networks that provide great content, while shutting down smaller networks trying to imitate their success. Which is it? The fact is, there’s one major thing that sets apart the two major examples above and the various examples of failed tiered link building and other link schemes. That major element is transparency. 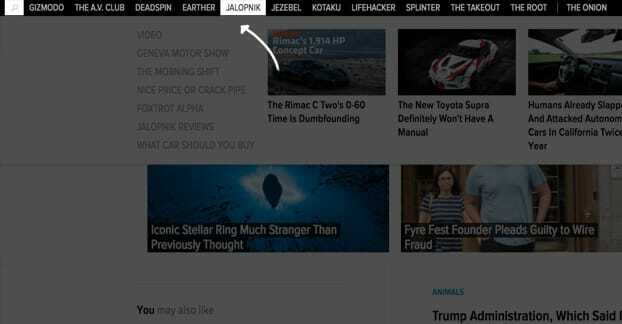 If you visit any of the Gizmodo sites, you will find a header with links to all of the other sites, as well as information about the group as a whole. 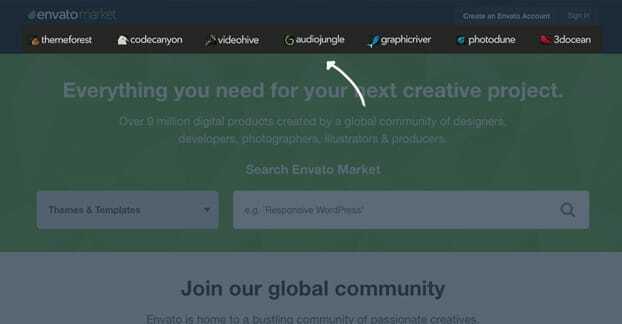 If you go to any of the Envato sites, you’ll find links back to the main Envato site. At no point are any of these sites trying to hide their connections to one another. In fact, those connections are not there to force link juice to flow in strange ways. Rather, those connections add value to potential readers. If I’m reading a Gizmodo post about some new tech that relates to gaming, and I want to read more about gaming news, I can just click over to Kotaku. It’s valuable for me to have that access readily available. If I’m designing a website using a theme from ThemeForest, I might want to use some stock images for initial filler and can pick them up right from another Envato site. Now, it’s entirely possible that these sites are eating a Google penalty, but are simply so large and dominant that it doesn’t matter. I don’t have access to their search consoles to check. However, I really doubt that this is the case. With all of this in mind, if you’re an entrepreneur looking to make several niche sites, you have a few different options to pick from. The first option is to keep all of it under one header. 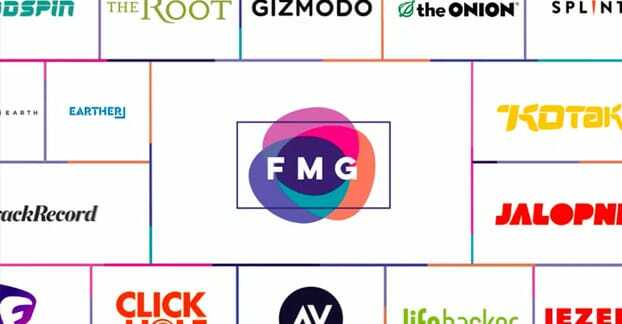 We don’t think about it as much, but if you took all of the Gizmodo Network sites and rolled them into one site under one brand name, you would have something that looks a little like Forbes. Forbes has a wide variety of different news channels, though they all have the overarching focus of being generally business/political/cultural news. A lot of large sites work the same way; they start with a relatively narrow niche and slowly expand as more and more topics are encompassed in their banner. This option is fine, but it takes a lot of time to set up and get rolling. You can’t just start with a broad generalist news site; there are too many established sites already. It’s simply impossible to compete. Even “narrow” niches like “gaming” are still too broad. It’s so hard to build a following without significant investment or ties to existing sites that it simply isn’t feasible to do. 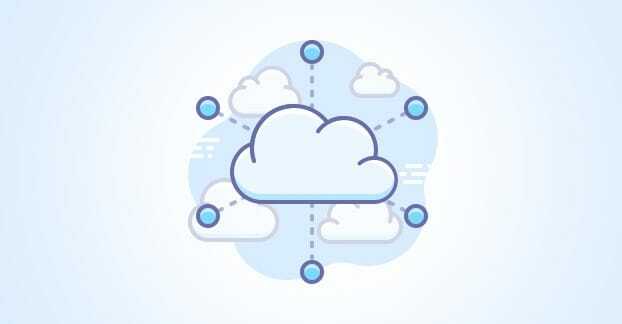 The second option is to build several sites and interconnect them under one banner. Each site has the benefit of being a narrow niche and can capitalize on a laser focus to attempt to grow and dominate that niche. Think about it like the difference between narrow user targeting with Facebook ads and simply hitting the widest audience you can. Each narrow site can grow, and they can refer to each other when value from another niche is called for. The trouble with this option is that it’s entirely possible to earn one of those link scheme penalties. If you’re not transparent about your association with each site, you can eat a penalty. This includes things like linking entirely within content and not in headers, not having an overarching brand to tie everything together, and even hiding your WHOIS information so it’s harder to detect that association. Essentially, if you’re pretending that your individual sites are separate, while linking them to each other for value, you’re asking for a penalty. If you’re up-front about your associations between sites, you’re explicitly not hiding it, and you’re doing it for the value to readers rather than yourself, you’re more likely to be fine. Of course, it can be helpful to nofollow your cross-links to give Google that sign of good faith, at least while you’re small enough that a few links matter. Once you reach the size of something like Envato, you no longer really have to care about nofollowing links in that way. Incidentally, another potential con to splitting your sites up is that each individual site has less individual power. Forbes is a dominant powerhouse because every bit of value is aggregated on their one domain. As such, for a given topic, Forbes is almost definitely going to out-rank the same topic being covered on a Gizmodo Network site. The Gizmodo Network might have more aggregate value in total, but it’s split up and there’s no way to combine it all without losing a lot of it. The third option is to build several sites, but don’t connect them at all. If they don’t link to each other and they don’t share content or branding, they can grow individually as independent businesses. The downside to this is, of course, how hard it is to grow each site individually without support. Creating a new site and not being able to link a bunch of value over to kickstart it means the first year of growth is likely to be rocky. There’s also the possibility that Google might think your lack of cross-linking indications is shady and could penalize you, though it’s not a common occurrence. On the other hand, having each site strictly independent gives you more flexibility to cover a similar niche in different ways. You can have one site dedicated to organic SEO, one dedicated to paid SEO, and one dedicated specifically to content marketing, with minimal overlap if you’re careful. You can show up several times in various searches, giving users more chances to end up on one of your sites to convert. You also have an easier time potentially selling off one of those businesses without having to divest it from your portfolio. If someone were to buy ThemeForest specifically, it would have a heck of a time removing the Envato ties to become an independent site. It’s also easier to buy a site and add it to your roster with minimal changes in branding necessary. In general, I recommend some careful crosslinking for value, without trying to hide your association. It’s only when you start to be shady about it that Google takes an interest.